Much of the recognition with Siri on the new iPhone 4S is its ability to schedule meetings, set timers and reminders, and come up with some pretty humorous responses to off the wall questions. What hasn’t gotten a lot of press is one of the more powerful tools Siri’s voice-cognition capabilities offers to users of the iPhone 4S. 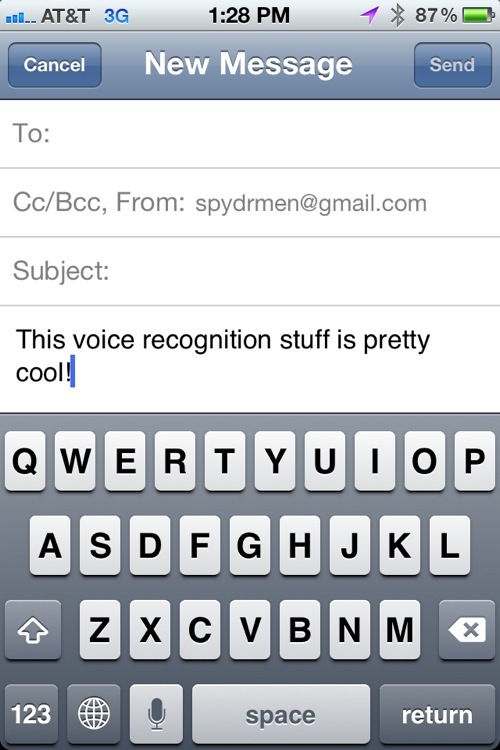 Voice-dictation of emails, notes, and documents has never been easier. I decided to see for myself how well this is implemented with a few of the more frequently used apps on my iPhone 4S. 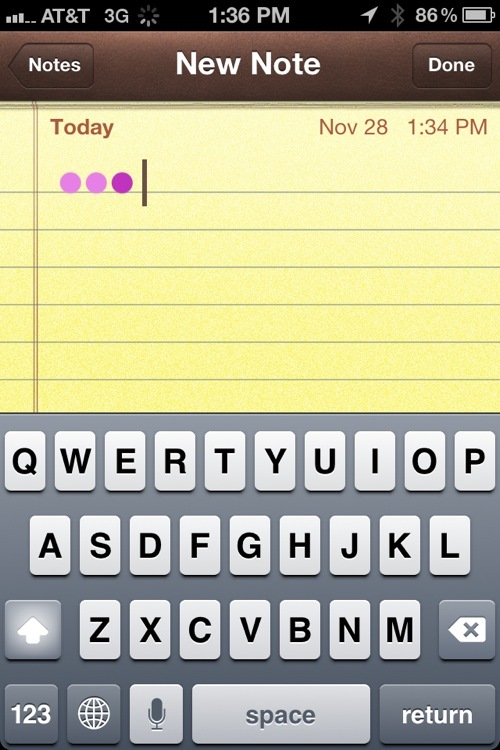 Once Siri is activated on your iPhone, you may have noticed a new key on your keyboard. To the immediate left of the space bar now lies a microphone button. Press the button and you can dictate up to sixty seconds of text at a time that will be placed in your email. It’s very reminiscent of Dragon NaturallySpeaking, since you can speak your punctuation as you talk. I’ve found Siri’s dictation to be amazingly fast and accurate. This holds true in the Notes app as well, and works just as fast as it does in email. Yet again, that wonderful microphone key is present on the keyboard when typing away on Apple’s own Pages application. Talk about increasing productivity! With further exploration you’ll find that whenever you use your keyboard in just about any app, including third party apps, you can use this great feature. In my explorations I know that it works with Twitter, Facebook, Google+, Foursquare, and Keynote. It’s simply awesome. Hopefully this useful feature will catch on among the Apple faithful. Apple should certainly promote it more. 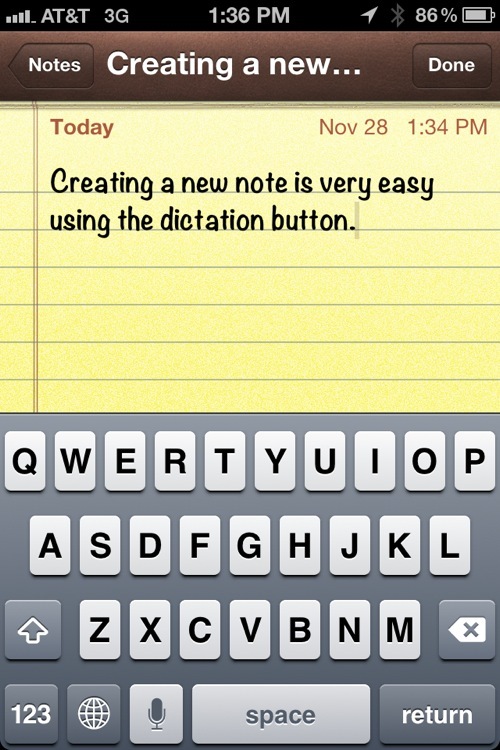 It’s truly one of the better dictation engines I’ve ever used. Can you post from an iPad? 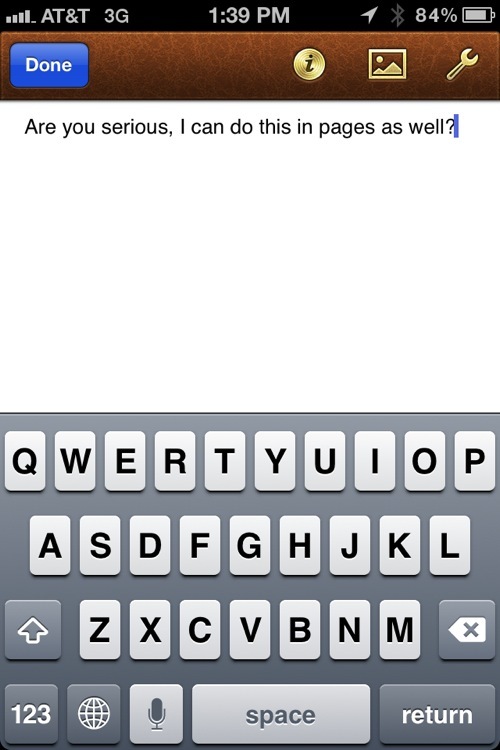 For some reason, I find the dictation has a harder time understanding me than the famous “ask Siri a question” use. Not sure why this should be. I talk quietly, and I talk even quieter at the ends of sentences a lot of time. What can I say, I lived in Japan when I was a kid, and you can’t live in population densities like that and be yelling like Americans all the time. Siri’s dication wants me to yell like an American and enunciate like an English teacher.